After much success of Darko Esser's Tripeo alias and label, he has launched a new series to focus on the beauty of the artistic collaboration. 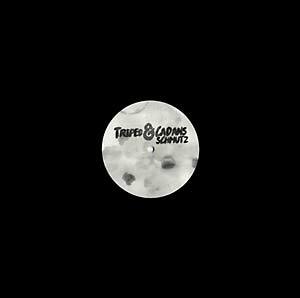 He's invited Jeroen Snik working under his more techno-centric alias Cadans for his first release. The moment "Schmutz #1" is a complex storm of unfiltered pads that ebb-and-flow throughout the track integrates genially with the jogging baseline. "Schmutz #2" takes a turn into a deeper atmosphere with dub-influenced chords. "Schmutz #3" may parallel to a techno "Carol of the Bells" which mixes with a smooth, calming and ambient reverie.